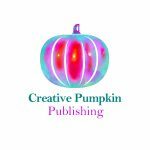 Ever wondered about how publishers come up with covers for books? 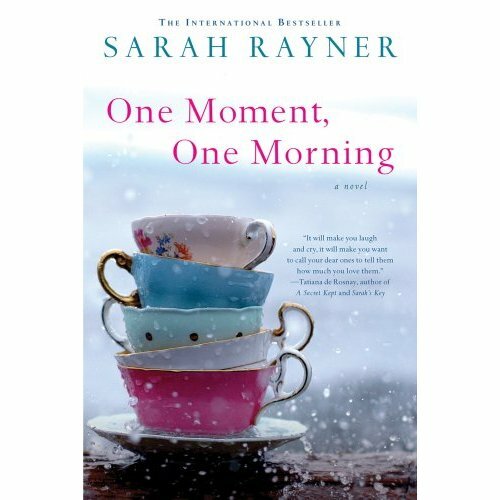 Well, it’s not like this in every case, but here’s Sarah Rayner’s account of how publishers across the globe ended up with the ‘teacup’ cover for her novel, One Moment, One Morning. One moment, one morning, a woman called Maddie, who lived by the coast just south of Vancouver, Canada, and took photos for a living, was drinking her tea, when she began to think about tea and the sea and how, living where she did, her tea always smelt of the sea. And that set her thinking. So she fetched all her teacups from her kitchen – she had some very pretty vintage ones – and put them one on top of another, on a piece of drift wood she found on the beach. It was a very blustery day and quite rainy, and she worried that if anyone saw her they might think she was a bit odd, especially as she kept getting seaweed in the cups and rain on the lens of her camera. However, she felt something about this shot was special, and decided it just had to be taken no matter what. 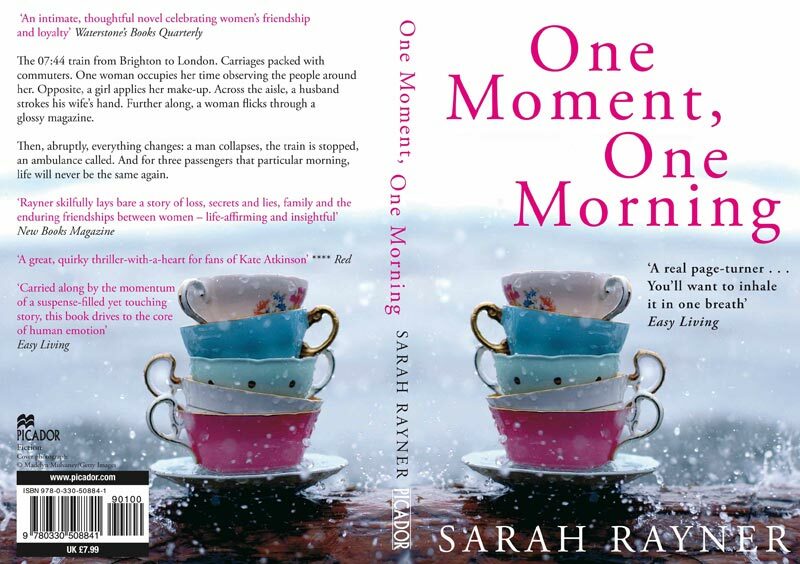 Meanwhile, another moment, another morning, in Brighton, England, a woman called Sarah finished writing a novel. 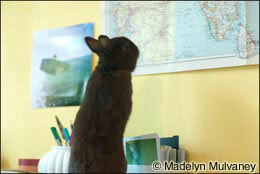 Although she’d had fiction published before, she was proud of this story in particular. It told the tale of a man who died unexpectedly on a train, and the effect this had on three women – his wife, a friend and a stranger. In it she’d written of emotional subjects such as grief and addiction and female sexuality, and pulled the themes together with the overarching theme of friendship. She’d set the book in her hometown, by the sea. She’d pushed herself style-wise, too, and, as a result, thought it better than the fiction she’d written before, and she sent her manuscript off to her agents, Vivien and Gaia, who liked it very much, and they sent it to several publishers. 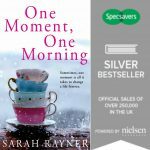 You can imagine Sarah’s intense disappointment, when one by one, the publishers said that whilst they liked the story very much, they couldn’t see how to market it. It fell into no specific camp, they protested; it wasn’t chick lit because it dealt with all sorts of difficult subjects, and yet the writing style was accessible and direct, like commercial fiction. Sarah got more and more despondent and frustrated, as she was convinced the book would connect with readers for those very reasons. 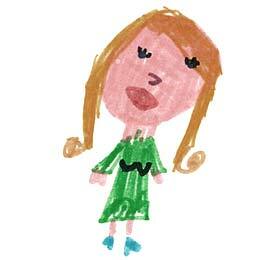 And she worked in marketing herself, too, so she felt she had some insight into what might and might not be saleable. 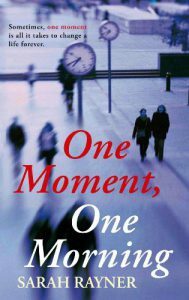 However, one moment, one morning, an editor at Picador in London, a woman called Sam, read the manuscript and liked it very much. She could see the potential readership and wanted to buy the book. But then all the people she needed to sign it off left the publishing house, and she wasn’t able to do anything. For several months Sarah and Sam waited patiently (or, in Sarah’s case, rather impatiently) until eventually a new publisher arrived, Paul. No sooner had he sat at his desk on his first morning than Sam rushed into see him, clutching the manuscript and saying she wanted to publish this book. 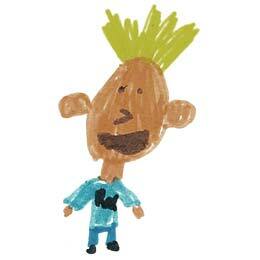 Paul liked it too, and he signed it off straight away. Picador set about publishing the book as a Trade Paperback, and hoped it would be widely reviewed. Still, they were a little bit perplexed as to how to market the story. 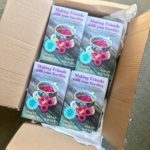 In particular, they struggled with a jacket for the book: an image that would sum up a story about the sadness of losing someone and the joys of the bonds of friendship. But because they didn’t want people to think it was too light, and they wanted the book reviewed in prestigious publications, they opted for a serious interpretation – an image of a train station. Sarah expressed minor reservations to Sam about this particular image, but she had no better ideas herself at all, and really she was very happy her book was being published and might get reviewed by prestigious publications. 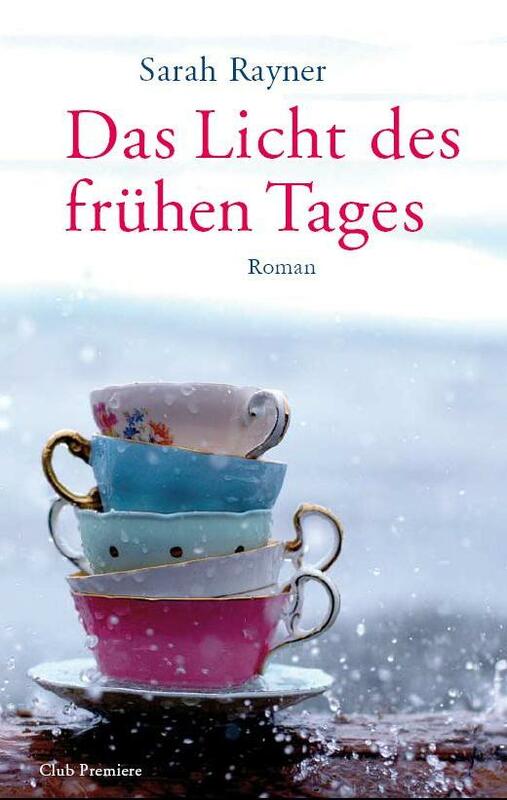 Over in Germany, thanks to the hard work of Vivien and Gaia, another editor was by now also publishing the same book, in translation. Her name was Iris, and she too was pondering the cover. 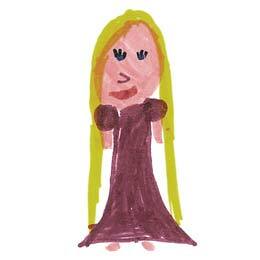 Then, one moment, one morning, a picture landed on her desk. It was an image sent by a photo library of teacups in the rain. And it was so beautiful, so pleasing and so terribly touching, that Iris intuitively knew it would work for the novel she’d acquired. 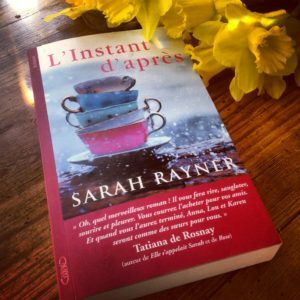 She couldn’t say why, exactly, but there was something about the teacups in the rain that seemed to resonate with the themes of the story, and, just like the novel, it was set against a backdrop of the sea. So she sent Sarah the jacket she’d helped come up with over the internet, and when Sarah saw this jacket, she gasped with pleasure. She’d never have thought of it herself, and yet she loved it. It seemed so beautiful, so pleasing, so touching, that it communicated almost everything she’d wanted her book to be. At Picador, by now Sam and the designer, Richard, were working to find an image for Mass Market Paperback version of the book. Sam showed Sarah one idea, but Sarah didn’t feel it was right, so Sarah showed Sam the teacups cover the Germans had used, and suggested that maybe they use that. And Sam talked to the designer, Richard, and Paul and other people at Picador, and Sarah talked to her agents Vivien and Gaia about it, and they all agreed that there was, indeed, something perfect about this particular image, so they decided to use it. By now the serious train station cover meant the book had had some very nice reviews from some rather prestigious publications, so they were able to include these too. 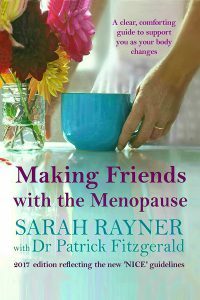 And so the book was published in July 2010, with Maddie’s photo of teacups on the front. And it went into bookshops across the land, and far and wide people saw it and liked the teacups as much as Iris and Sarah and Sam and Paul and Vivien and Gaia and Richard all the other people who’d helped to choose it along the way. People picked up the book and read the nice reviews on the back and decided to buy it. And when they’d read the novel, many of them told their friends about it, and their friends liked the cover and read the book too. And as more and more people bought the book, so the displays got bigger and there were more teacups on books on shelves of shops across the land. And Sarah remembered all those publishers who’d turned it down because they’d said they didn’t know how to market it, and it has to be said she clapped her hands in glee. 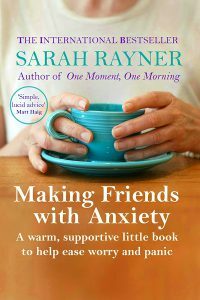 And as they sat at lunch, with their teacups on the table in front of them (the waitress did think they were a little mad, as they were drinking wine, but she was used to creative people so didn’t say), they got talking about the cover of Sarah’s new book. So Sarah suggested said she’d like to track down the person who’d taken the photo of the teacups and Paul the publisher said he thought that was an excellent idea. And the very next morning Sarah flipped the book over and found, in very small letters, the name of the photographer, Madelyn Mulvaney, and she put the name into Google. 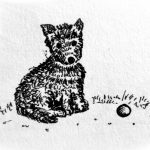 As if by magic, Maddie’s website came up straight away, so Sarah sent Maddie an email saying what had happened, and this time (because this is a happy story, not Hardy) the email did not go astray. And Maddie got Sarah’s email, and she was amazed because, whilst she knew the photo was on a book in England thanks to the kindness of Carol who’d emailed her, she had no idea the photo was on so very many books. 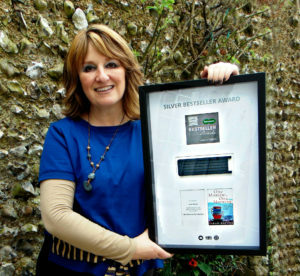 So when Sarah said the book was on displays in airports and in supermarkets and in big high street chains and in little bookshops in back alleys and had sold lots and lots of copies, she was really, really pleased. 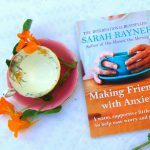 She wrote back to Sarah straight away, and said how happy she was. And they exchanged a few more emails, and rapidly realized they were kindred spirits in the true sense of the phrase and they have been corresponding happily ever since. Madelyn Mulvaney is a photographer and writer living in Vancouver, British Columbia. Her curiosity propels her to take her camera everywhere capturing all that is quirky, beautiful and wondersome in the world. She is passionate about morning coffee, polaroid, film, poetry, treehouses, vinyl records, peonies, old movie theaters, public radio, mopeds, thunderstorms, green and violet, damascus red and loooong roadtrips. 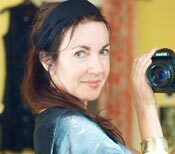 Her photography is represented by Getty images and can be seen in publications and on book covers around the world, including on Making Friends with Anxiety and Making Friends with the Menopause. 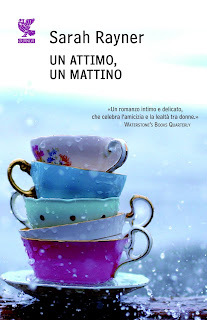 Guanda, the Italian publishers of One Moment, One Morning brought the teacups to life on film to celebrate the publication of Un Attimo, Un Mattino in Italy. 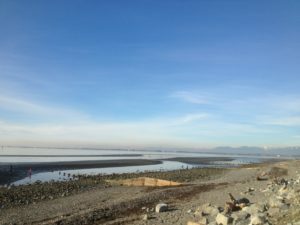 In 2013 Sarah and her husband Tom went to stay with Maddie in her house by the sea in Vancouver, and they visited the beach where the photograph was taken (top left) – and very beautiful it was too. 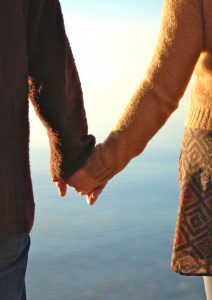 Sarah and Tom got engaged on that trip and Maddie took this photo of them. 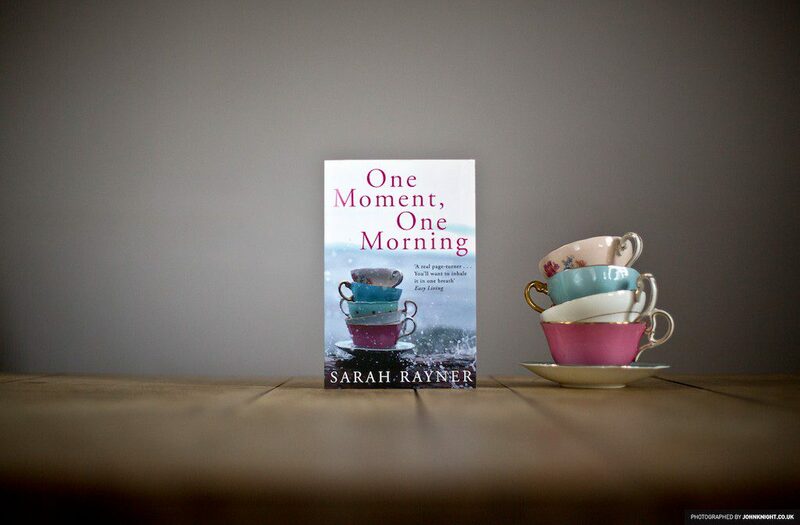 And when they left, Maddie gave Sarah a very special present – the original teacups she’d photographed. They are now in pride of place on a shelf in Sarah’s home in Brighton, and whenever she looks at them, she smiles and thinks of her friend half way across the world. 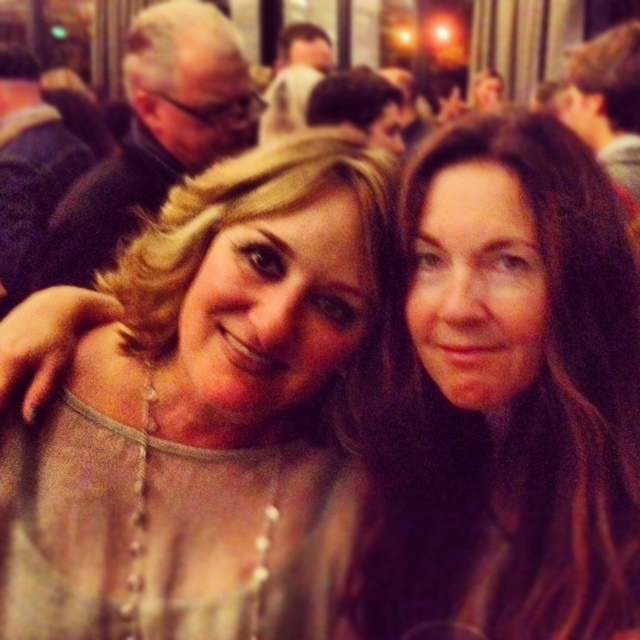 And even though they’re thousands of miles apart, they’re still in sync, and Maddie’s photos grace the covers of Making Friends with Anxiety and Making Friends with the Menopause.